Victor (Sung Yul) Rhee. Faith in Hebrews: Analysis within the Context of Christology, Eschatology, and Ethics. New York: Peter Lang, 2001. 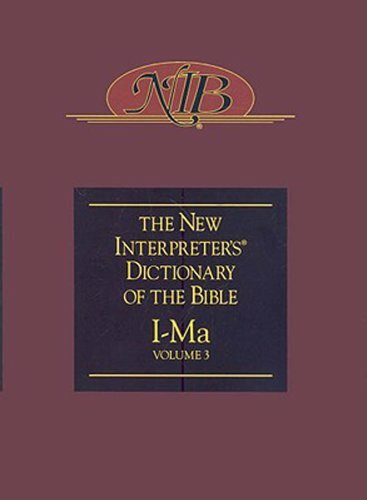 Contributed four articles to The New Interpreter’s Dictionary of the Bible (5 vol). Abingdon Press, 2006-2009 (Edited by Katharine Doob Sakenfeld). 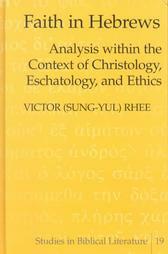 Contributed an essay: Chapter 6: The Role of Chiasm for Understanding Christology in Hebrews 1:1‒14 in Winstead, Melton Bennett, ed. New Testament Philology: Essays in Honor of David Alan Black. Eugene, OR : Pickwick Publications, 2018. “Christology in Hebrews 1:5‒14: The Three Stages of Christ’s Existence.” Journal of Evangelical Theological Society 59 (2016): 717–29. "The Author of Hebrews as a Leader of the Faith-Community." Journal of Evangelical Theological Society 55 (2012): 365-75. "The Role of Chiasm for Understanding Christology in Hebrews 1:1-14." Journal of Biblical Literature 131 (2012): 341-62. "A Sword of Judgment: Understanding Hebrews 4:12 in Context." Biola Connections (Summer 2005). "Christology, Chiasm, and the Concept of Faith in Hebrews 10:19-39." Filologia Neotestamentaria 16 (2003): 33-48. "Chiasm and the Concept of Faith in Hebrews 12:1-29" Westminster Theological Journal 62 (2001): 269-84. "The Christological Faith in Hebrews 3:1-4:16." Filologia Neotestamentaria XIII (2000): 75-88. "Christology and the Concept of Faith in Hebrews 1:1-2:4." Bibliotheca Sacra 157 (2000) : 174-89. "Christology and the Concept of Faith in Hebrews 5:11-6:20." Journal of the Evangelical Theological Society 43 (2000): 83-96. “Christology and the Concept of Faith in Hebrews 1:1-2:4,” Bibliotheca Sacra 157 (2000): 174-89. “The Christological Faith in Hebrews 3:1-4:16.” Filologia Neotestamentaria XIII (2000): 75-88. “Christology and the Concept of Faith in Hebrews 5:11-6:20.” Journal of the Evangelical Theological Society 43 (2000): 83-96.